A light and robust nylon carring strap with velcro closure. 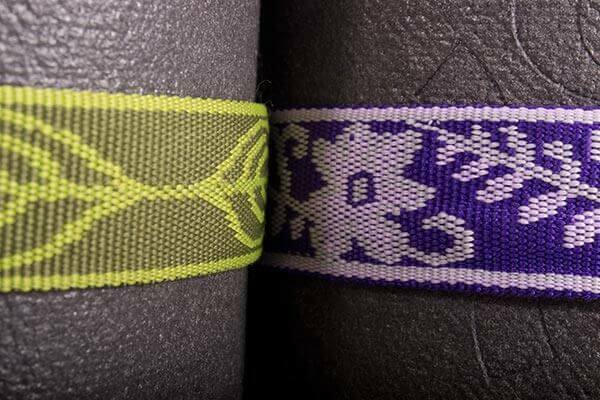 These attractive carrying straps will fit most yoga mats and can be used instead of a Yoga mat bag. The convenient shoulder strap makes it easy and comfortable to transport your mat. This compact strap will stow away easily when not in use. 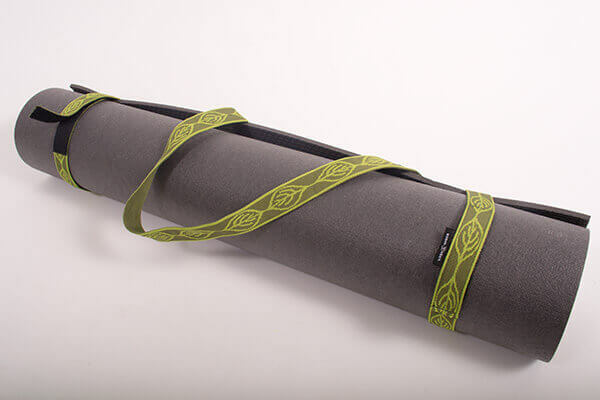 The pictures here are to illustrate how to use these yoga mat carrying straps, the Yoga mat is not included and is for illustration purposes only. Love this carrying strap, the colour matches my mat! It doesn't slip off my shoulder like my previous strap, probably because it is a little narrower. Really like using it, looks smart. 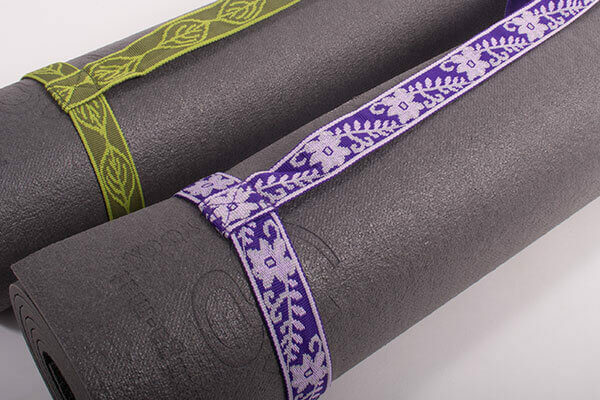 I bought this strap to go with the beautiful yoga mat I bought before Christmas from this company. Both are very good quality. The products come quickly and are beautifully presented in tissue paper which is a nice touch! Product arrived promptly. No problems with packaging. Very pleased with response to my order. 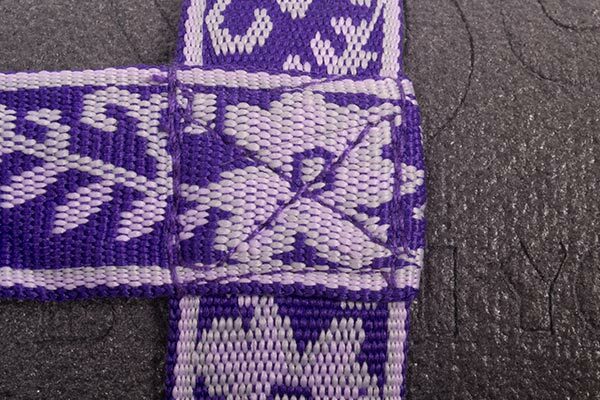 Great, simplistic, strap and in my favourite colour (purple). What more could I ask? 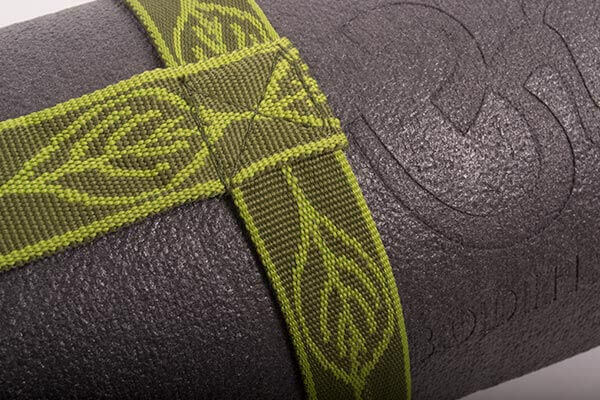 These straps are minimalist and do their job perfectly. Their size suits a whole range of mat sizes thanks to quite long sections of velcro. I have bought two of these now as they are the most practical and handy way of carrying our mats to and from classes or simply for storage in the house. Thanks.